As we happily ring in another new year, it is worthwhile to take a moment to learn about the most important technology trends that will affect small businesses in 2019. As a new year begins, understanding and responding to the latest technology trends continues to be of high importance to small companies. In this blog post, we have identified seven significant technology trends that will affect small businesses in 2019. By being aware of these developments and responding to them appropriately, you will give your company a useful advantage over your competitors. 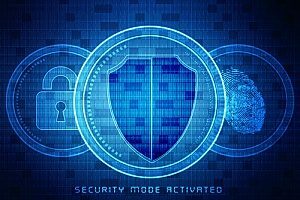 A recent Computerworld poll of technology professionals found that the 45% of them considered cybersecurity threats to operations and privacy concerns to be the main technology issues faced by companies. After a record year of costly and highly publicized data breaches, most tech experts agree that companies of all sizes will finally start paying proper attention to the need for effective cybersecurity at their businesses. In 2019 tech observers predict a substantial increase in investment in cybersecurity measures as well as a rise in outsourced assistance from specialists in this area. Analysts predict that this year companies will increasingly turn to proactive cybersecurity tools and methods versus being reactive to a crippling cyberattack. Cybersecurity experts will use the advances in machine learning (ML) and artificial intelligence (AI) to better predict and protect against cyberattacks. As these technologies improve, they will increasingly help companies to defend themselves against these attacks. Despite the growing amount of attention by small and large companies to cybersecurity, however, experts still predict that massive data breaches and cyberattacks will continue to occur far too often in 2019 with devastating effects. Advancements in AI technology revolve around the growing ability of machines and applications to perform tasks that are characteristic of human intelligence. Experts predict that the key trend in AI in 2019 will be technology developments that simplify the human user interface with AI. 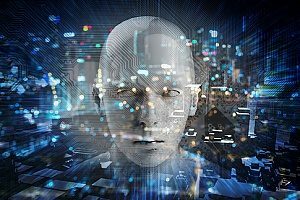 Observers note that this year will see significant advances in AI software tools, which will make using and manipulating valuable data more user-friendly. AI-powered solutions are also enabling programmers to develop advanced and customized business applications without the need of data scientists. In addition, AI-enabled chips will dramatically increase the speed AI can run programs, which will enhance predictive analytics and improve workload management and inventory tasks. This is one of the most important and fast-developing technology trends of the present day. In 2019 devices known as “Autonomous Things” such as drones and robotics will increasingly use AI to more naturally interact with their environments and will become more common. These devices will be more widely used to automate monotonous tasks and improve other processes. In one interesting example of the power of AI in autonomous things, Gartner reported that Microsoft and Uber are using AI-powered robots for enhanced security at their facilities. These robots have the capability to read license plates, observe and report suspicious activities, and collect data over large outdoor areas. A cloud computing study conducted by IDG Communications in 2018 revealed that nine out of ten companies surveyed would have some part of their applications or infrastructure in the cloud by 2019. Almost all of the rest of the companies reported that they would follow suit by 2021. Tech experts predict that companies will increasingly select a hybrid cloud option, which allows them to enjoy the benefits of the cloud but still maintain some legacy systems. An important trend that will continue to grow is that small businesses will be taking advantage of the cloud to easily access powerful AI and ML tools and analytics. Small companies can use the cloud at a relatively low cost to reap the significant benefits described here and in past blog posts. Blockchain is an encryption method using a distributed digital ledger to protect cryptocurrencies, which is expanding into banking and other business transactions. In 2019 companies will continue to make large investments in the development of blockchain technology, and will increasingly utilize its protective features in different industries. Gartner estimates that blockchain technology will create a staggering $3.1 trillion in value by 2030. One important area where experts see its vast potential is for use in improved network security through better identity management. A consumer backlash that started because of the widespread collection and use of private customer data by technology giants will continue to grow this year. The huge companies that are the driving force behind gathering and exploiting personal data are known by the acronym FAANG for Facebook, Amazon, Apple, Netflix, and Google. Microsoft is another multinational company involved with this type of invasive behavior. The controversial methods and policies of FAANG in this area have elicited a public outcry that will impact businesses of all sizes. In 2019 consumers will become more aware of the value of their personal data and will demand more transparency into how it’s being used by public and private organizations. They will also guard their information more carefully and will restrict access to it. As a result of big business’ missteps with consumer data, all levels of government will increasingly draft or pass legislation with strict regulations on the collection, use, and distribution of private data. Companies of all sizes will have to work hard this year and beyond to gain and maintain their customers’ trust. All companies will have to pay more attention to the proper use of sensitive customer information for ethical and business reasons. 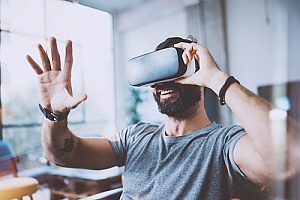 Immersive technologies such as augmented reality (AR), mixed reality (MR), and virtual reality (VR) will become more advanced and widespread in many industries. Businesses will continue to invest heavily in these areas to enhance a potential customer’s interactive and sensory experience with their products and solutions. Gartner predicts that by 2022, 70% of companies will be experimenting with immersive technologies and 25% will have already deployed them. One of the most intriguing technology trends in 2019 will be the movement toward convergence by AI, ML, the Internet of Things (IoT), immersive technologies, and the blockchain. These technologies have made significant advances in the last few years, but they have remained largely isolated in their own lanes. The race is on for tech companies that are developing ways to merge and amplify the benefits of these technologies. This beneficial technology convergence will lead to more efficient operations and giant productivity gains for businesses of all types and sizes. 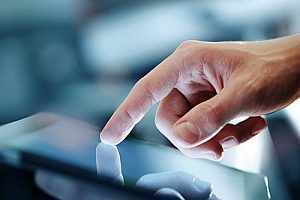 As described above, 2019 will be a year with many important technology trends that will affect your small business. In order to best understand and respond to these and other technology changes in the business world, we recommend consulting with a trusted IT Support provider like Network Depot. An experienced and knowledgeable IT partner will help prepare your small business to effectively handle the challenges and opportunities that lie ahead.